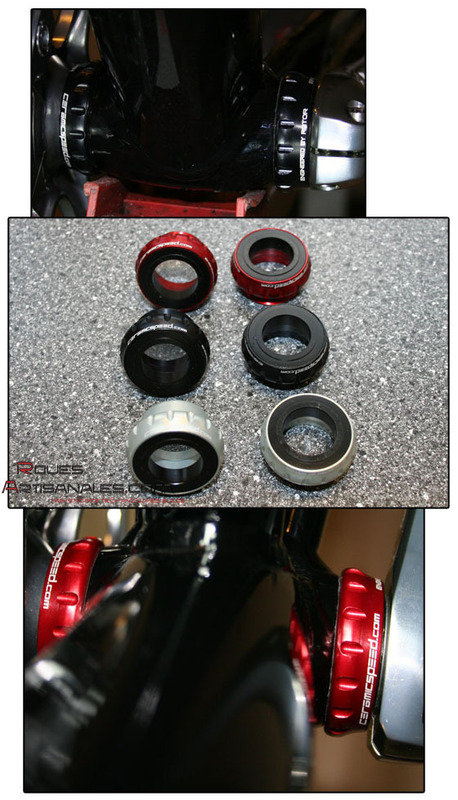 bottom brackets cups receiving the high standards ceramic bearings are offered in three differents colors: red, black and silver. in 2007 ROTOR agreed to produce external BB cups for CeramicSpeed – we´re proud to present the CeramicSpeed bottom brackets. 89-90g, depending on the colour. The weight save is about 3 to 13g on the standard stock versions. The price is 120 euros out of VAT.